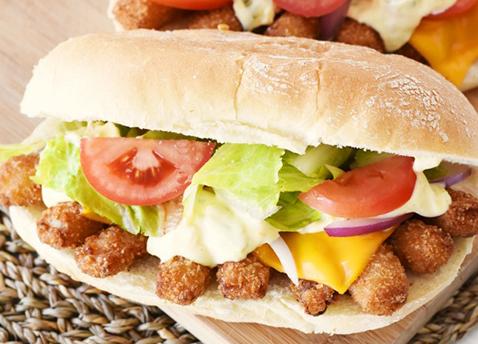 Crunchy fish sticks and soft sub rolls are the childhood combo Sizzling Eats never grew out of. Add your favorite toppings and pass on this delicious tradition. Slice torpedo rolls in half. Once fish sticks are done, cut them in half and line the 10 halves in the bun. 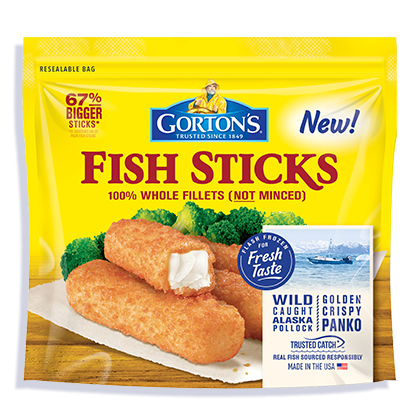 Cut the American cheese diagonally and line the slices over the fish sticks. Place the subs on a baking sheet and let the cheese melt using the residual heat from baking the fish sticks. Once the cheese is melted (about 5 mins), add the veggies and tarter sauce.